Pranburi is unique in that it has only boutique private resorts along the beachfront, so even in high season the area is peaceful and quite. At the same time it is only a short drive to golf courses and tourist sites, and only a stroll along the beach to any of a dozen restaurants.The total site area is approximately 1 Rai (about 1,600sqm), with each villa occupying about 400sqm each. 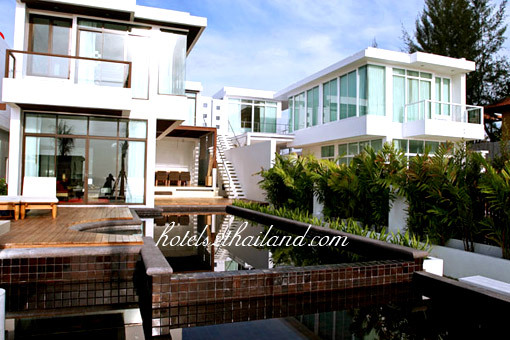 Each villa is completely self contained & separated by a common fence between each villa. 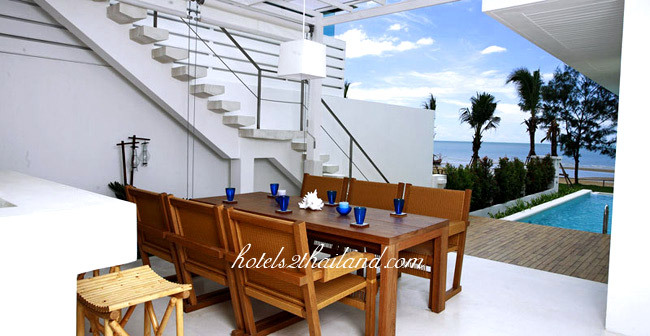 The total beachfront is 40 meters, split equally between the villas. It is likely that the area between the pools and the beachfront will not be fenced, but instead be left as a long grassed strip with the odd coconut tree, providing very open and uninterrupted ocean views for all villas.